Latter-day Saint Women Stand (formerly Mormon Women Stand) is a collaborative online effort to join like-minded female members of The Church of Jesus Christ of Latter-day Saints who share a desire to make a public stand as witnesses of Jesus Christ and support The Family: A Proclamation to the World. We believe standing together reflects the divine nature and power with which Latter-day Saint women are endowed to influence others for good. We unequivocally sustain the First Presidency and Quorum of the Twelve Apostles—commissioned by God and sustained as prophets, seers, and revelators—and support how the Lord has delegated priesthood authority to organize and administer the gospel among all of His children. The organizers of Latter-day Saint Women Stand are Latter-day Saint women from around the world with varying ages, backgrounds, locations, and professions who believe that women have a powerful opportunity to be a force for good both in the Church and online. This endeavor was established to invite all Latter-day Saint women to stand together in a positive online community. It is a safe haven and gathering place for women to join in doctrinally sound and uplifting gospel conversations in an atmosphere of loyalty to those whom the Lord has authorized to lead His church. Latter-day Saint Women Stand focuses on positive relationships and conversations that bring women closer to Jesus Christ. Latter-day Saint women around the world need to have a place where they can stand strong together and have a conversation—as friends in the same room would—guided by the Spirit, remembering the example of Jesus Christ, and heeding the direction He gives through His prophets and apostles. It is our desire that by establishing Latter-day Saint Women Stand, we will gather and unite like-minded women. We hope that going forward, they will develop a desire to extend these conversations into their own spheres of influence, whether it be in the home, at work, at church, or in the community. The Latter-day Saint Women Stand collaborative effort will consistently follow the counsel from Elder M. Russell Ballard that “every disciple of Christ will be most effective and do the most good by adopting a demeanor worthy of a follower of the Savior… The Apostle Paul has admonished us to not be ‘ashamed of the gospel of Christ: for it is the power of God unto salvation’ (Romans 1:16). Let us all stand firmly and speak with faith in sharing our message with the world” (Ensign, July 2008). With this in mind, anything contentious, contrary to or criticizing the teachings, doctrines, or leaders of The Church of Jesus Christ of Latter-day Saints will not be welcome. Latter-day Saint Women Stand is not an official page of the Church. However, as members of The Church of Jesus Christ of Latter-day Saints, we strive to follow the counsel provided in the new Handbook 2: Administering the Church, which addresses social media use: “Members are encouraged to use the Internet to flood the earth with testimonies of the Savior and His restored gospel. They should view blogs, social networks, and other Internet technologies as tools that allow them to amplify their voice in promoting the messages of peace, hope, and joy that accompany faith in Christ.” (Handbook 2, 21.1.22). Elder Dallin H. Oaks advises, “The consequence of our failing to speak out as witnesses of God are evident in our Savior’s teaching about the salt that has ‘lost its savour.’ Mixed with other substances — just as we can be diluted by the values of the world — it loses its unique influence on the mixture of the mass. As the Savior taught, it is ‘thenceforth good for nothing, but to be cast out, and to be trodden under foot of men'” (Matthew 5:13). 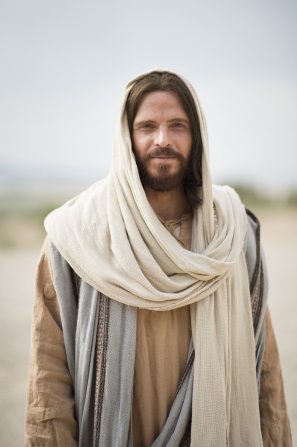 (BYU-Idaho Devotional, 25 Feb 2014). “Like” Latter-day Saint Women Stand on Facebook to stay up-to-date with regular postings and to engage in daily, uplifting conversations. Media may contact Latter-day Saint Women Stand from their “In the Media Page.